Miami East-Miami Valley CTC FFA host its ninth annual “Princess for a Day” fundraiser at the Miami East High School Saturday. 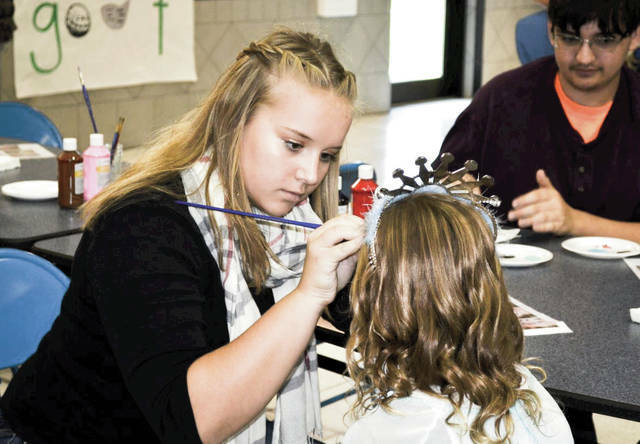 Miami East High School sophomore Paige Pence paints a design on one of the 44 princesses who attended the event. Each princess had their nails, make-up and hair done by the FFA students. The event raised more than $400 for the March of Dimes organization which benefits premature infants and mothers.